Time to sell your home in Liveoak Village? Read about today's resort market buyer. Liveoak Village homes for sale in Foley, AL are listed below and along with the current listings is a Google interactive map, images, property details and a variety of useful info for homes for sale in Liveoak Village homes in Foley Alabama. This area of Foley is close to downtown and also the public beaches of Gulf Shores and Orange Beach and their respective amenities. Please let us know if you would like additional info for Liveoak Village in Foley, AL or any other homes for sale or condos for sale in the area. Our real estate team handles property sales from Spanish Fort, AL all the way to Perdido Key, FL and everywhere in between. Email info@condoinvestment.com with questions, to schedule appointments to view homes for sale in Liveoak Village or any other subdivisions on and along the AL / FL Gulf Coast or call (251) Area-Pro (251-273-2776) for immediate assistance. Gulf Shores is an actual island which features numerous water front homes for sale. With river-front, canal-front, bay-front, gulf-front and many more water front options, we've included the option to search using pre-defined options, as well as, map searches and price searches too. We've listed all of local subdivisions and offer the option to search Gulf Shores, AL homes for sale and have included as much info as possible. And not everything is real estate-related and we've published helpful area info, like our restaurant menus page. 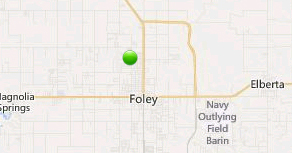 This area of Foley, AL is minutes from the Alabama Gulf Coast. We've included exclusive aerial imagery for much of the Gulf Coast and Gulf Shores and Orange Beach is highlighted. We've published recently sold info for all Gulf Shores, AL condos for sale and Orange Beach, AL condos for sale too. We've included revenue info for each condo in the area and other helpful sales and investment info.